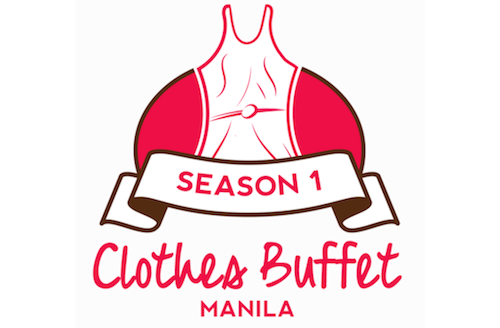 Clothes Buffet Manila: Can you shop under 15 min? Okay, so this is a bit late for me to post but I really want to share this one. You'll know why later on. So YEY! 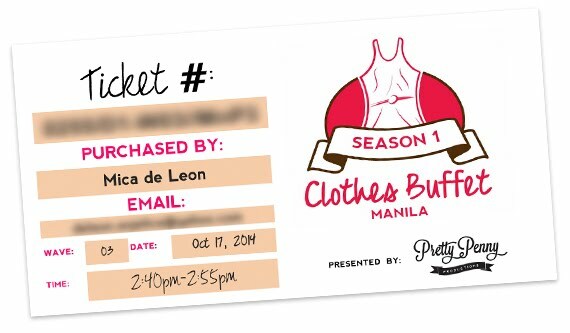 I got my ticket to Clothes Buffet Manila! I was supposed to buy another ticket for Oct 18 with my friend but the tickets sold out fast just a week after I bought the 3rd wave for Oct 17. So since there are a lot of bloggers and some newspapers that talked about the event, I won't be talking a lot about the event anymore. Also, since I've talked a bit too much with just my story. As the image above, you've (I've) got 15 minutes to pick it, zip it & keep it. I have 1 buffet bag that 32cm x 23 cm in size and 15 minutes to fill it with the clothes I am able to grab. My target is to get 10+. (I hope I could). I'm feeling really excited for October 17! I'm also excited and hoping for a Season 2, even if there isn't an announcement yet. Let me know if your going, specially if your in the 3rd wave too!